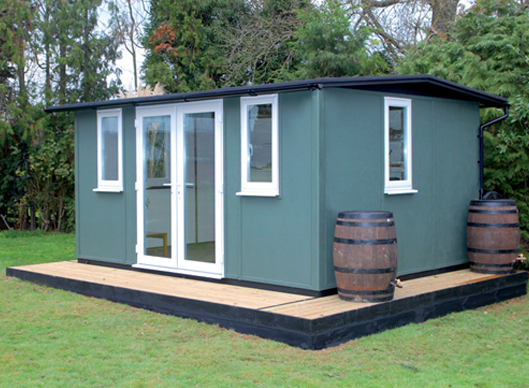 With attractive classical lines and unique architectural features the Classic Solo Garden Office is an excellent addition to any garden. The internal space, approximately 10ft6 x 7ft is about the size of the typical third bedroom. 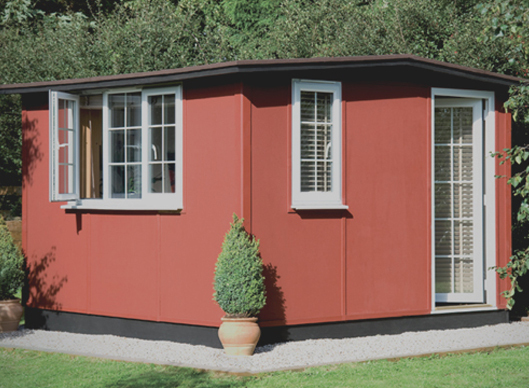 Smart owners often choose the Solo because it’s the perfect compromise, being a very usable room without occupying too much garden space. There’s certainly plenty of room for you, a large desk, a visitors chair and several filing cabinets. This makes the Solo the perfect choice for the individual who has occasional visitors. The Solo includes large double glazed windows. This allows light to flood into your office, providing it with a bright, airy and appealing interior. 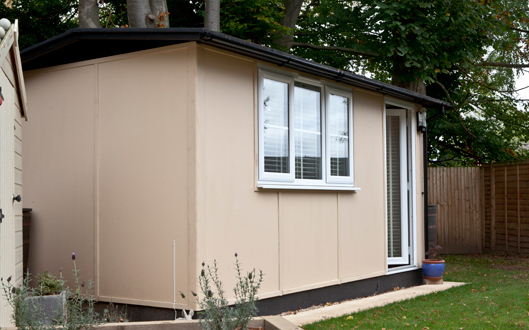 There’s full, industry leading, insulation within all the walls, ceiling and the floor, the double glazed windows are fitted with key operated locks which your insurance company will insist upon, night vents, trickle vents and eight point locking. Comfortable all year round with negligible running costs, the Solo is very popular with home workers, artists, designers, authors and owners of small businesses. 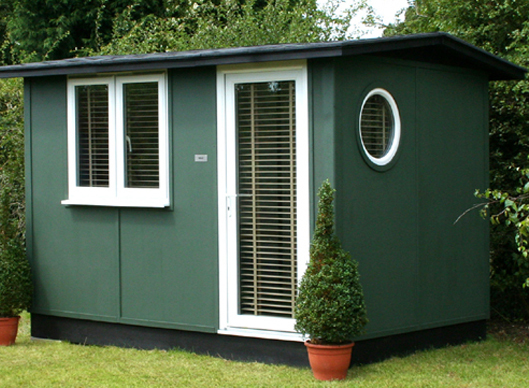 The Classic Solo offers a comfortable and versatile interior, that would make the perfect office, art studio or retreat. 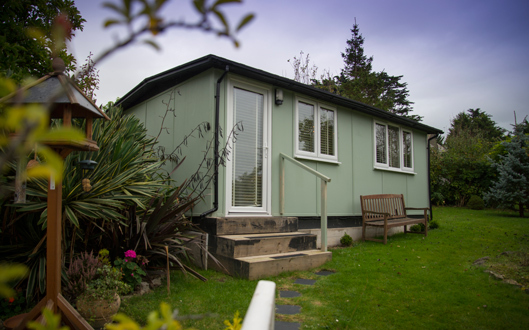 The interior can be customised exactly as you require, and there’s plenty of room to get creative and really make this garden room your own. 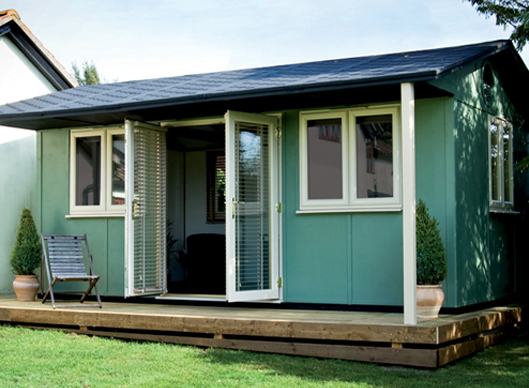 With a fully fitted carpet, double glazing on both the windows and door and modern lighting, the solo is a perfect example of comfort, style and substance. The space in the classic solo is perfect for an optional Versa Desk. 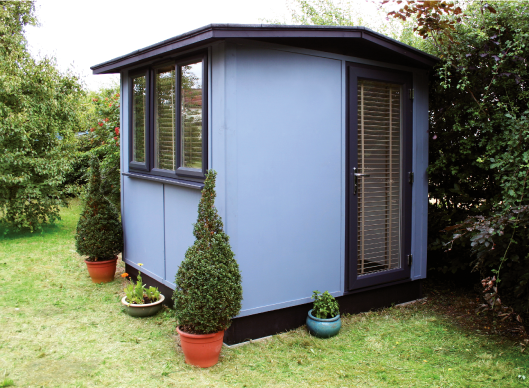 We will adapt your desk space to suit your Smart Garden Office. 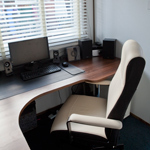 Professional, stylish and strong, the Versadesk is the must have accessory to the Smart Solo. It takes just 1 day to install you Smart Solo. 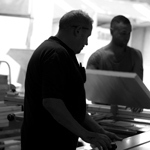 Our team will design the components before arriving on site then construct the Solo using our famous and renowned TuSC system. 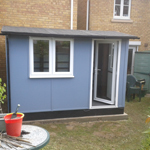 If you’re looking for a bit more space for the Solo is the next Smart Garden Room in the range. 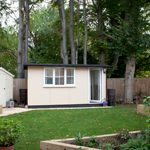 The Classic Extro is designed to fit into long and narrow gardens. For when there’s a slightly small footprint in the garden, but you require that extra space.